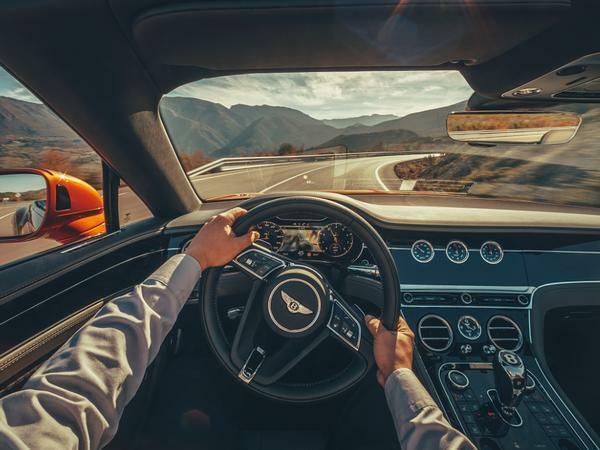 2019 marks Bentley's centenary year. Clearly much has changed since Walter Owen registered the firm in 1919 with the ambition of building cars with his own name on. But for the factory in Crewe, the continuing link to its formative years is irrefutable: it started out building the world's foremost Grand Tourers, and now, among other things, that is what it still does. 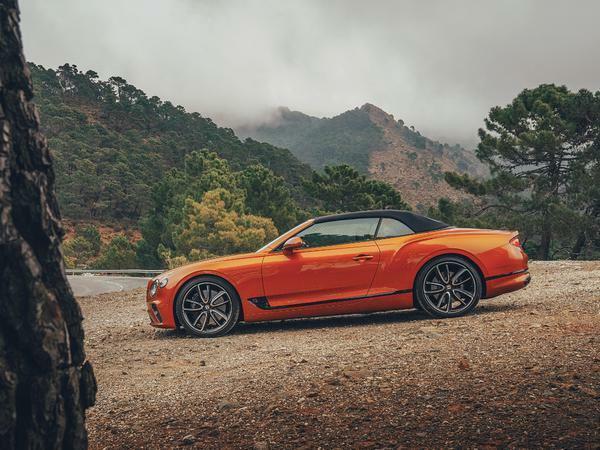 The latest GT Convertible is a case in point - 'the very essence the luxury brand', as the blurb dubs it - and an essential part of Bentley's current portfolio. That portfolio is as exhaustive as it's ever been. A Bentley dealership is furnished with a flagship limousine (the Mulsanne) a four-door saloon (the Flying Spur) a large SUV (the Bentayga) and a 2+2 fastback (the GT) - enough, you would think, to satisfy the requirements of anyone equipped with pockets deep enough to be let in the door. But the manufacturer has had a rough time of it recently: delays caused by WLTP have prevented the standard GT from launching promptly in China and America - markets that account for up to 50 percent of its sales - and the planned introduction of hybrid models seems to be happening at a snail's pace. The Bentayga Diesel, which must be selling like hot cakes in some alternate universe, is being quietly phased out. And there's still Brexit's repercussions to come, whatever they may be. Of course, Bentley is not the only major car company to be wrong-footed by a 'perfect storm' of tough market conditions. By other measures, it has done rather well. It sold over 10,000 cars last year. which, by its own yardstick, makes it the biggest luxury carmaker in the world. 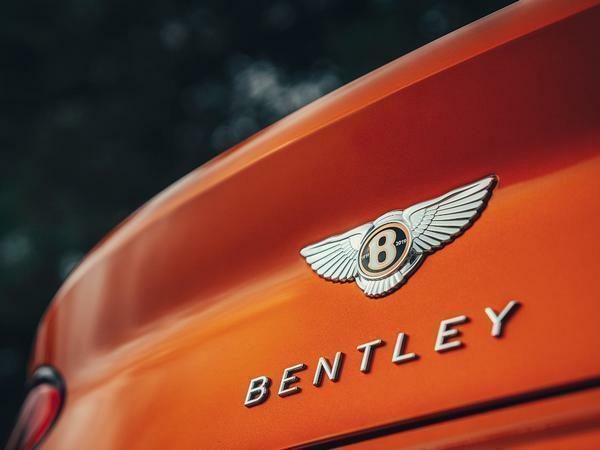 (Before you try to do the maths on that one, Bentley is gleefully selective about which manufacturers it considers to be among its six closest rivals: suffice it to say four of them are also British and none is Mercedes-Benz). Were it any other brand - i.e. one not quite so good at communing with its distant past - it would be tempting to knock the blinkers from such a one-eyed view of the world. 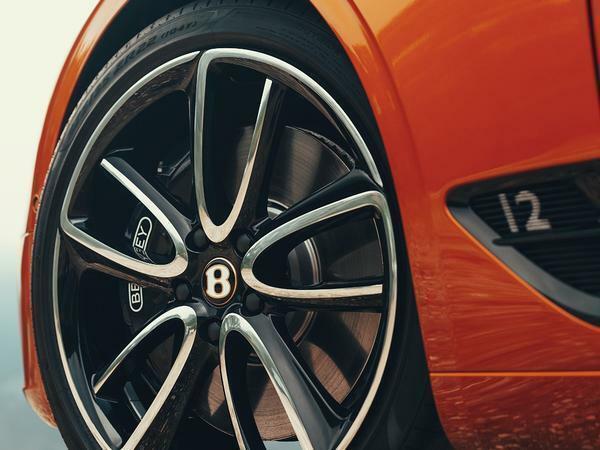 But Bentley's ownership of its own identity is persuasive, and it has marshalled its talents to considerable effect since being acquired (or rescued) by Volkswagen in 1998. 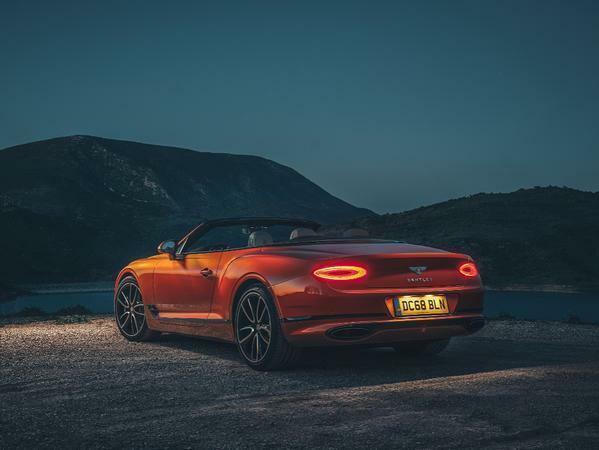 By the admission of those present to see it, the longterm transition from near basket case to bullish self-confidence is near miraculous - and at the centre of it all is the Continental GT. The latest model, in case you missed last year's baptism, is basically fabulous. Big, fast, lavish, handsome, as superior as a high court judge and - most importantly - better to drive than it's ever been. Sure, a Mercedes-AMG S63 is cheaper and about 200kg lighter, and an Aston Martin DB11 AMR is probably more stimulating - but the GT combines genuine, all-season usability with W12-powered opulence like no other car on sale. 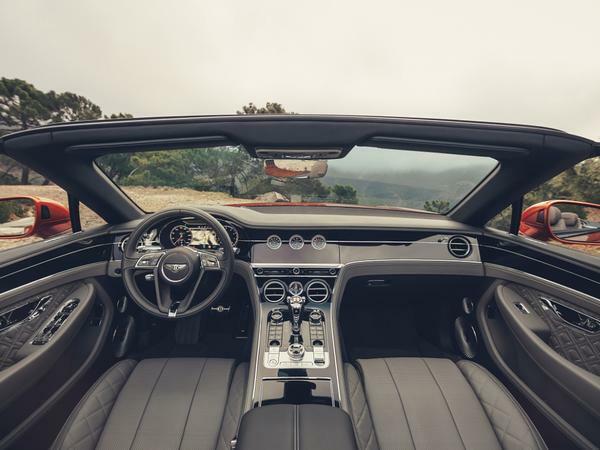 Bentley's objective with the convertible appears straightforward enough: remove roof, more of the same. To the extent that anyone will notice or care, it has succeeded. First and foremost, it still looks tremendous. Not quite as kewl as the coupe, perhaps - because that raked fastback roofline is not replicated by the fabric hood - but thanks to the hard work already done with the new model's basic proportions, it's still easier on the eye than its forbear ever was. 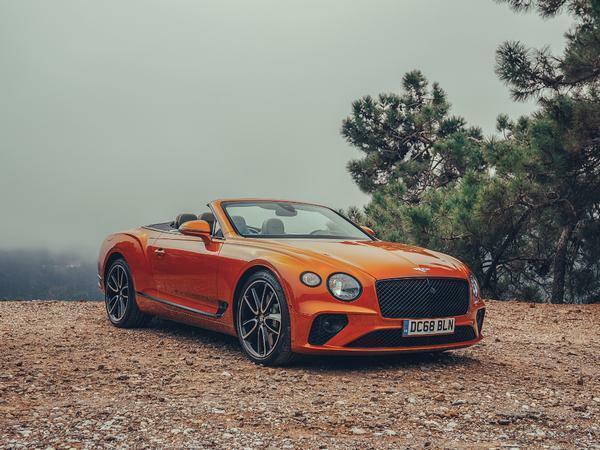 Four-seat convertibles are not everyone's cup of tea, granted; yet it'll be a hard-hearted soul indeed that doesn't concede to liking the new GTC from at least one or two angles. Anyone who claims to not like the interior is flat-out lying or blind or else trying to get in the back. Sure, there's still a whiff of gimmick about that dash-mounted 'rotating display' and the sheer number of toys on offer necessitates rather too many plastic buttons, but that aside it's a triumph of material richness and attention to detail. Seated among 300,000 or so stitches, and faced with 10 square meters of wood in the dual-veneer, it's easier to understand why Bentley is so sniffy about measuring itself against anything put together with a robot's arm: the hands that helped craft each and every GTC belonged to a human, and an artisan no less. The significance of their input is hard to overstate, especially when exposed to daylight. This happens in 19 seconds and up to speeds of 30mph. You can choose from seven different fabrics for the hood, including an 'authentic tweed finish' for the first time. 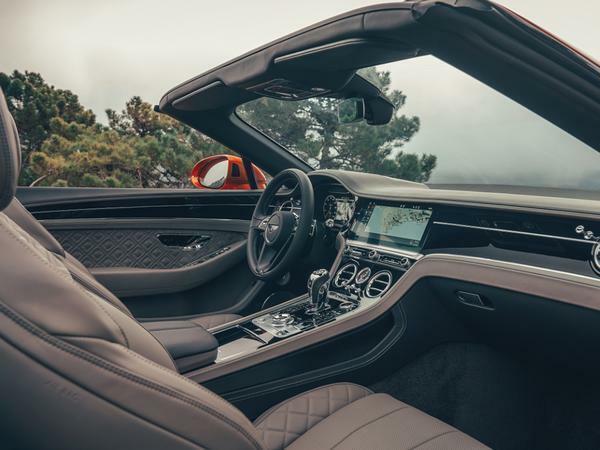 It's an all-new Z-fold arrangement, and, according to Bentley, offers a three-decibel reduction in noise (enough to make the convertible as quiet as the previous generation coupe, apparently - although it's also large enough to take a significant bite from the boot space). 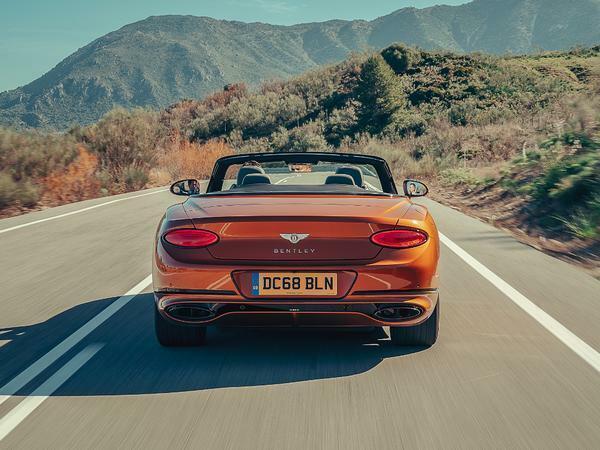 With it down, predictably, there's a mild breeze to contend with at speed unless you opt to put the plastic wind deflector up across the back seats - which presumably no self respecting Bentley owner has ever done given that it's like erecting a Millets' tent in the dining hall of Sandringham Palace. Don't expect to be assailed by engine noise either. 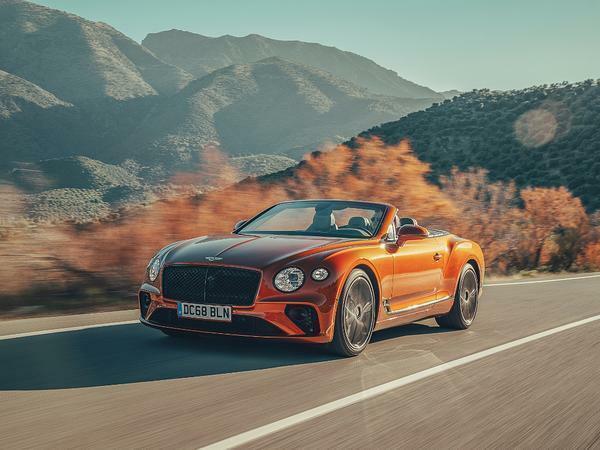 The latest 635hp 6.0-litre W12 is a technical marvel, but it was designed and built with class-leading refinement in mind, and it doesn't demean itself by bellowing - even when you sometimes want it to. What it does instead, in conjunction with the eight-speed dual-clutch tranmission that now seems smoother than ever, is sweep you along with an effortlessness that speaks to the 664lb ft of torque kept inside its enormous velvet glove. 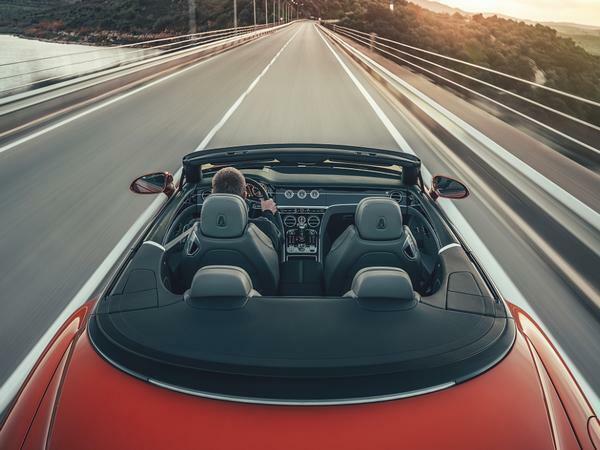 The convertible's new body-in-white is 20 percent lighter than its predecessor, although still around 100kg heavier than the coupe. 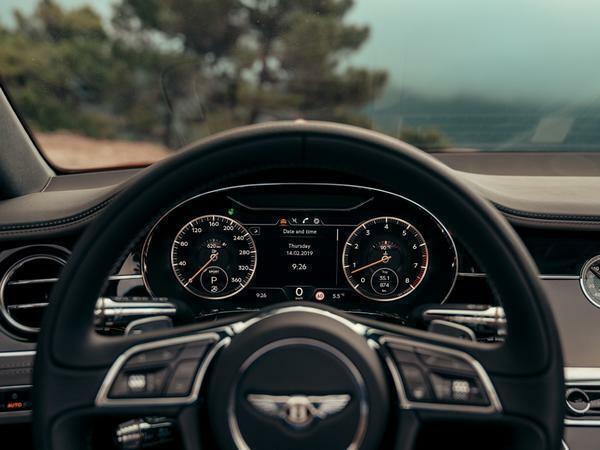 But it doesn't prevent Bentley quoting a 0-60mph time of 3.7 seconds, and nor is it burdensome enough to necessitate using the full travel of the accelerator pedal in any normal situation. 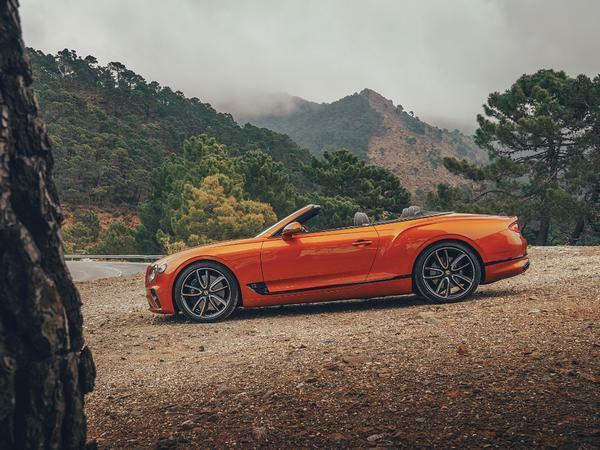 Instead the GTC feels much as you'd hope it would, which is to say substantial and very sure of its self - and with a considerable amount of sophistication plumbed in. The body is claimed to be only five per cent stiffer than before but don't expect to notice anything as indecorous as a creak or tremor flutter up through the A pillar. 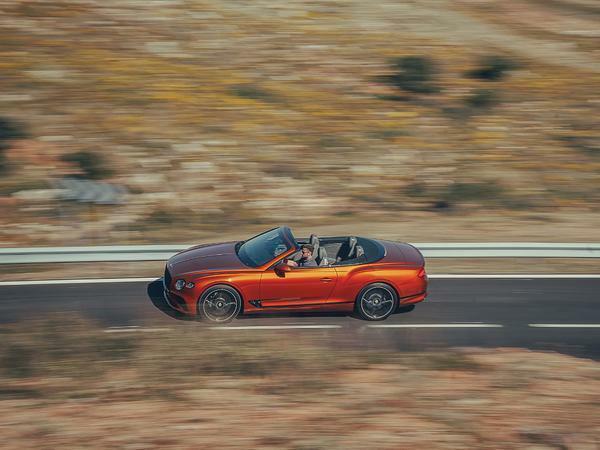 On admittedly very smooth Spanish roads, the convertible feels rock solid; solid like an ocean liner or a village church - like it was built from limestone with forever in mind. If that sounds like another way of saying it's a hefty old brute, then that's true. 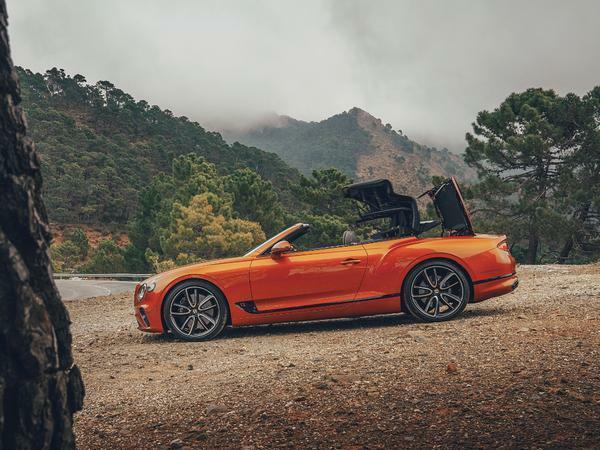 But the GTC gets the same three-chamber air suspension and a 48v active anti-roll bars as the coupe, which means that its powers of concealment are fairly considerable - and very clever, too. Drive it briskly on a challenging road and it doesn't appear to be doing anything particularly special until you realise just how consistent and easy it is to thread a few bends together in a way that ought not to be possible in a 2.4-tonne car which has been separated from its roof. Okay, so a Lotus Elise it most certainly isn't - and if you really started chasing it, the added weight and subtracted torsional rigidity compared to the coupe are certainly going to show - but who does that in a GTC? You'll only risk dislodging a hair from your side parting. Far better to not really give it much thought and let the car's seamless marshalling of its many components get on with spoiling you. 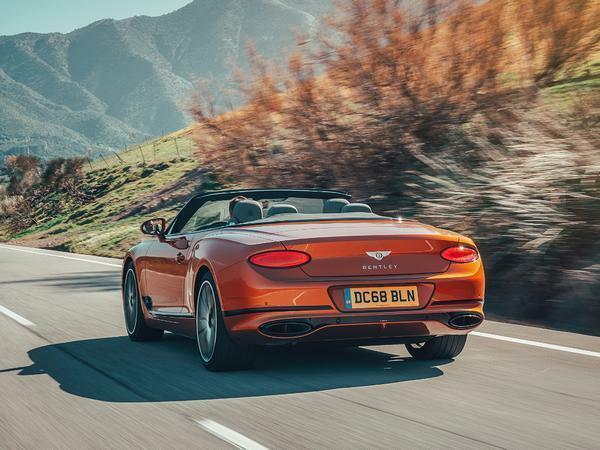 Of course, that makes the convertible version feel like more of a frivolous indulgence than the standard GT (which has the potential to be downright enthralling when they finally get around to sticking a V8 in it) although that's hardly a surprise either. The GTC has always been mostly about showing off. 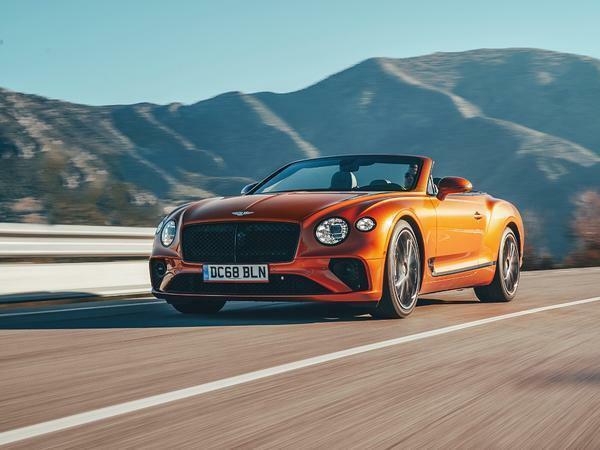 And in 2019 it shows off the breadth of Bentley's present-day talent to the extent that you might actually consider parting with £175,890 for the pleasure of owning one. The first and second generation were jelly mould puddings that did absolutely nothing for me. But god these Mk3 cars are handsome. If my numbers ever came up I’d love one of these to smoke about in. Handsome car. Like the others. Not convinced by that colour but that looks the nuts. I think there’s a choice of colours. Yes please. I'd still take the coupe over this but Bentley have nailed it with the new Conti GT in pretty much every way. Had a blast in a coupe a month ago and my god it was quick. The inevitable Speed version will be utterly mental.